Hi d ho and happy Christmas! Week 25 already and for this weeks pregnancy update baby is now the size of a turnip. According to babycenter.com baby is starting to grow hair and right on track Mammy is starting to get heartburn – there is going to be another long three months ahead! Bump wise I’m still expanding and Christmas won’t be helping the weight gain. However; I think you can start to see a difference in the bump 1 and bump 2 photos below – Im nearly a stone (14 Lbs) heavier in the bump 1 photo at 25 weeks than I am on this pregnancy with bump 2 and you can really see that in my face. Hi D Ho! 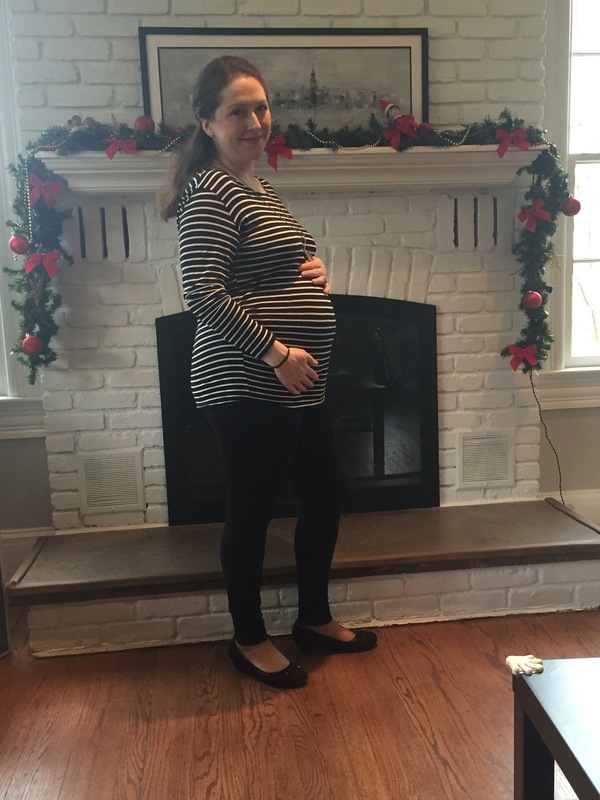 Double week pregnancy update this week, we have been in New York for nearly the last two weeks so between traveling and pregnancy/toddler jet lag I didn’t get a chance to write last weeks update. So baby is now the size of a corn on the cob and bump has got huge!!!!!! Baby is kicking all the time and some of the kicks are so strong that they make me jump – its like someone coming up behind you and giving you a right wallop in the arm (except in your tummy, and from the inside – sneaky little thing 🙂 ). Hi d Ho, into pregnancy update week 22 and baby is now the size of a spaghetti squash – don’t think we have those in Ireland but apparently they are about 11 inches long and almost 1 pound in weight. Baby is also now starting to look less like an alien more like a miniature newborn. Baby’s doing well and bump continues to get bigger, kicks are getting super strong now – I got one the other day that was so strong I jumped and gave DH a good wallop. Hi D Ho! Week 21 already and for this weeks pregnancy update baby is now the size of a carrot and apparently weighs about three-quarters of a pound – I don’t think I’ve ever come across a carrot that weighed three-quarters of a pound but who’s to judge. Pregnancy wise all is going well, baby kicks are getting stronger and more frequent every day and bump is getting bigger. Im starting to watch my sitting and sleeping positions more now to encourage baby into the best position for birth, so no more slouching on the couch or sleeping on my right side (or at least I’m trying not too 🙂 ). I’ve rooted out my dreamgenii pregnancy support pillow – it was great last time round for supporting bump and getting comfy at night. Its also supposed to help get baby into the best position for birth too so fingers crossed!